Verdict: After seeing 60 nightmare targets, we have finally hit the Mother Load! Verdict: Sir, Is that the new BMW ///M9? 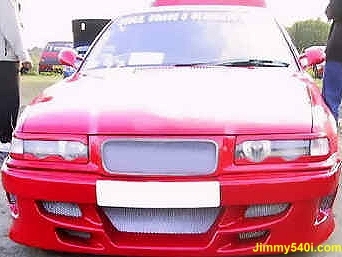 BMW Nightmare Qualification: Magical Front Grill Conversion. Verdict: Two front grills in one. How did you do that magic you did? Verdict: Meet the "Snow-White Edition" of BMW. 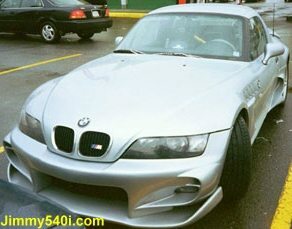 BMW Nightmare Qualification: The wing and the body kit. Verdict: I just can't stand this crap! 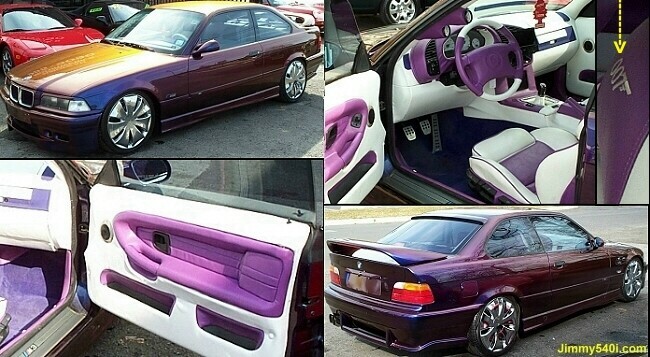 BMW Nightmare Qualification: Ultimate color-changing exterior paint job & interior fixture. Verdict: Hey! There are "007" engravings on the seats. HAHAHAHA!! 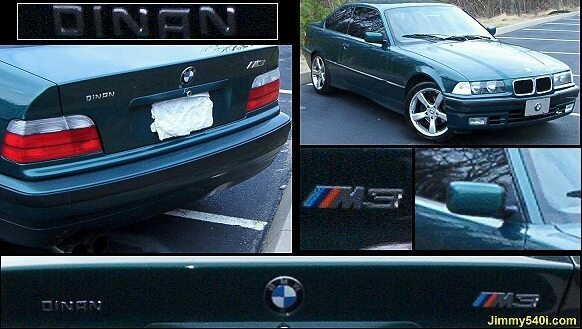 BMW Nightmare Qualification: Look close, a fake DINAN badge & a M3 emblem. Verdict: Remember BMW Nightmare Target #30? Meet his brother. 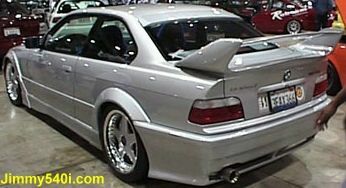 BMW Nightmare Qualification: The rear spoiler. Verdict: Is that tail really necessary? 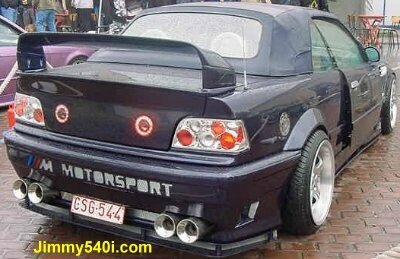 BMW Nightmare Qualification: Another idiotic rear spolier. Verdict: Presented to you by another idiotic BMW owner. Verdict: I said "Hit the road!". Not "Hit the Wall!" 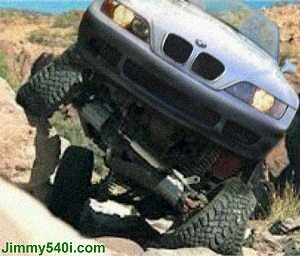 BMW Nightmare Qualification: Its flame-broiled modifications. Verdict: This is what happens when Bavarian Motor Works merges with El Pollo Loco. 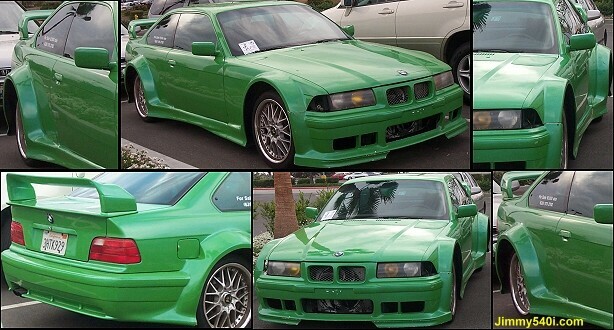 BMW Nightmare Qualification: The custom color, the wide-body kit. 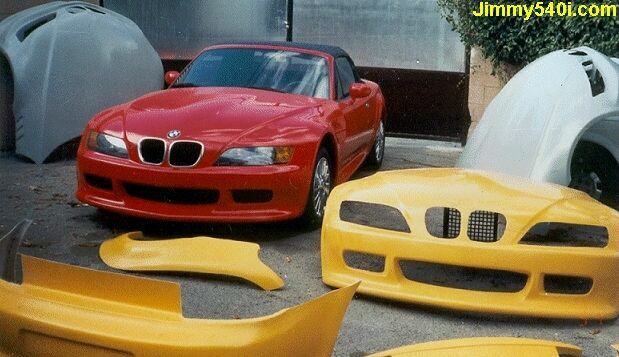 BMW Nightmare Qualification: The masks. Verdict: Target #44 should really look up to this one! Verdict: What a colorful world! Verdict: Road Wrinkle? No problem. Here's the biggest iron in the world. BMW Nightmare Qualification: The body kit and a ///M badge which does not belong. 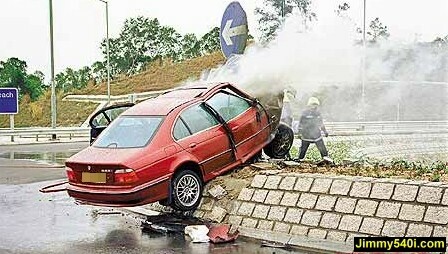 Verdict: This BMW is about to launch a missle. BMW Nightmare Qualification: The wing. Verdict: Another Idoitic Flying Object! BMW Nightmare Qualification: The mods, the gadgets, the color. Verdict: And it looks just like a big piece of $h*t!